← What Cincinnati House Has Eight Landscape Murals Painted for a Viticulturist, One White Garden and Two Daguerreotype Exhibitions? 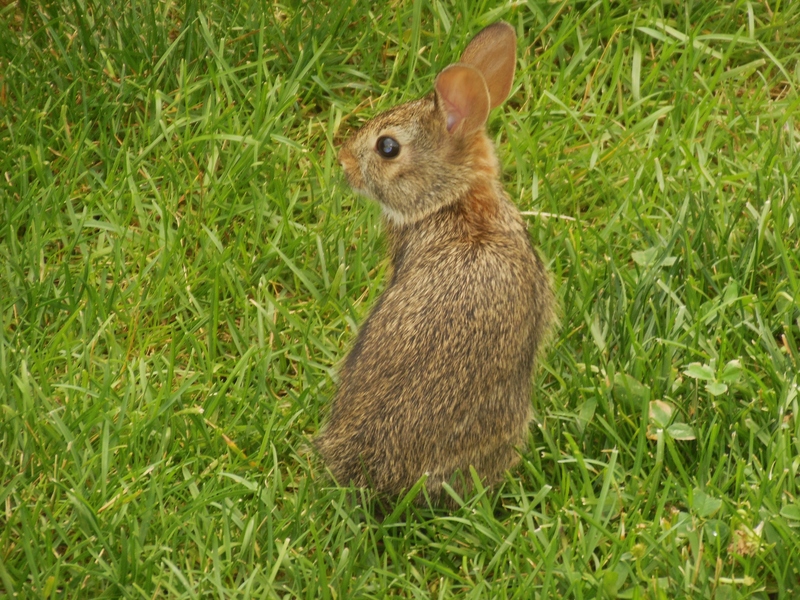 On my lunch hour today, I took a walk around Ohio. How did I accomplish that in under 60 minutes? As Justin Timberlake sings when he employs his fabulous falsetto in “Suit & Tie,” “let me show you a few things” about the Ohio Governor’s Residence and Heritage Garden. It’s been a long time since I’ve visited the house that has served as the official residence of 10 Ohio governors and their families since 1957. Today, I stopped by on an “assignment” that I’ll tell you more about in a week or so. 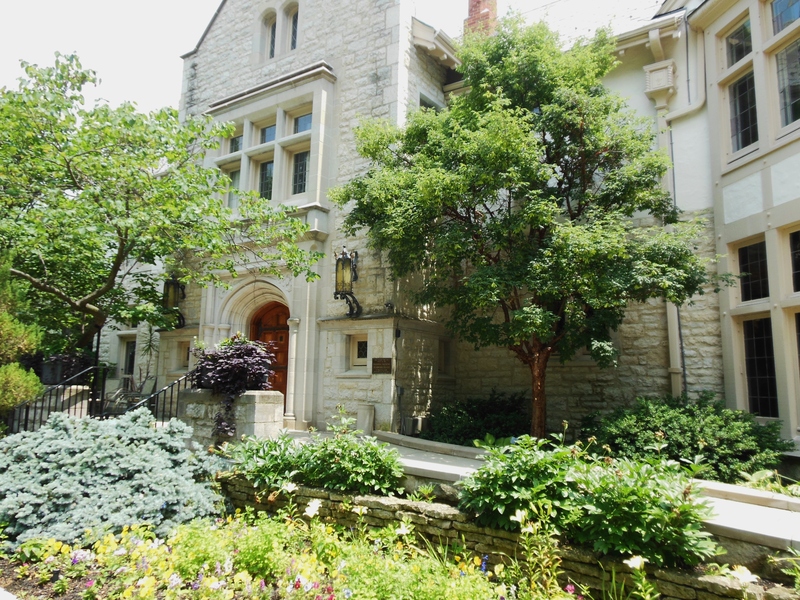 Originally the home of Columbus industrialist Malcolm Jeffrey, this Jacobethan Revival house was completed in 1925. On previous visits, I’ve been enamored of the stucco-and-limestone structure with decorative half-timbering, a steeply pitched slate gable roof, molded brick chimneys, and an oak front door surrounded by a stone Tudor arch accented with columns and carved rosettes. Standing on the slate stone floor in the entrance hall, I always stop to admire the oak-beamed ceiling, carved oak paneling, and the staircase with a carved balustrade of open strapwork patterns. With their oak-paneled walls, decorative plaster ceilings, carved stone fireplace mantels, and bay windows with leaded glass panes, the dining room and living room are reminiscent of Old English halls. And then there’s the needlepoint. Hope Taft, Ohio’s First Lady from 1999 to 2007, asked her friends at The Top Drawer, a favorite needlepoint store in Mariemont, to design seats for the four stools that are part of the “Buckeye Suite,” the wooden furniture with carved representations of buckeye branches that Governor and Mrs. Voinovich commissioned. Each design is different, incorporating architectural features of the house and Ohio state symbols. 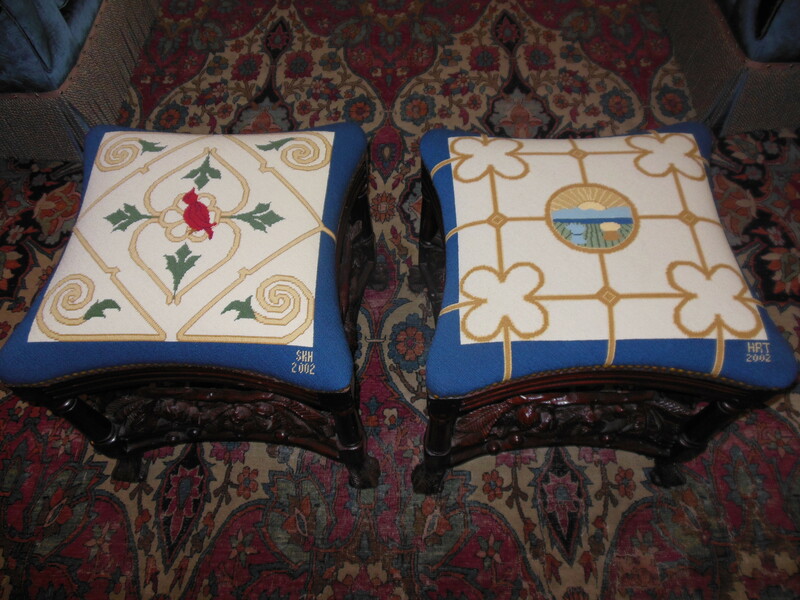 Mrs. Taft stitched the ones of the state seal and the living room’s ceiling design. 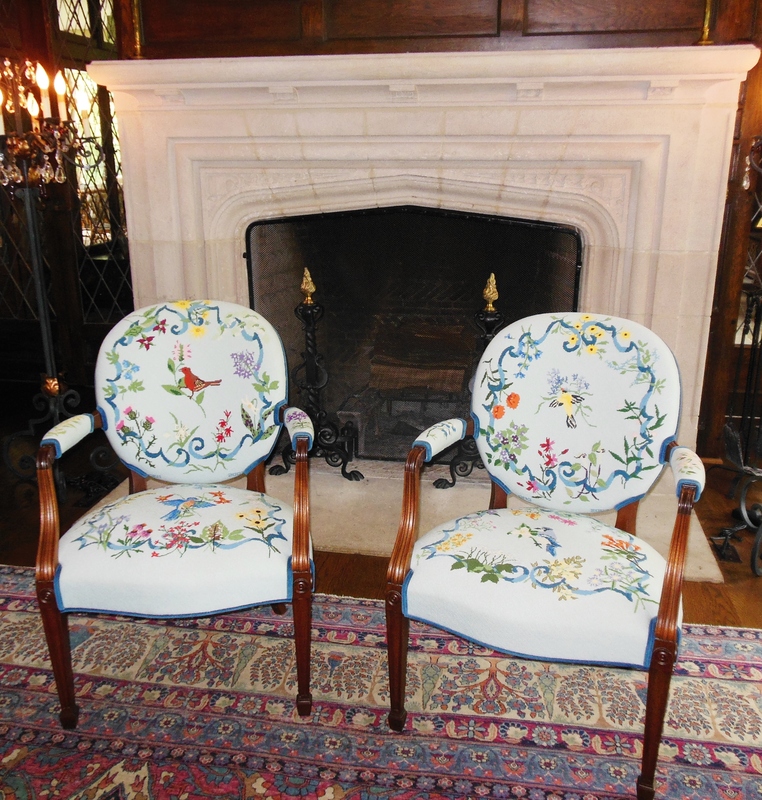 She and some friends also created two needlepoint chairs depicting species of birds and flowers native to Ohio. In addition, Mrs. Taft instituted a loan program with both the Ohioana Library Association and various museums around the state so that visitors could enjoy changing exhibits of artwork and books with Ohio connections. But Mrs. Taft’s most remarkable accomplishment at the Residence just might be developing the Heritage Garden. Landscape designers and plant experts joined her to create a series of small gardens representing the diverse regions of the state. The Governors’ Grove features trees that were planted by some of Ohio’s recent governors, such as a “Moraine” planted by Governor O’Neill, a cultivar developed in Dayton that was the first thornless honey locust to be patented. The Allegheny Garden includes plants and flowers from the Alleghenies in northeastern Ohio, such as Northern Bayberry and a Running Strawberry Bush. The garden is edged by the Geologic Walk, including a glacial striated stone from the Lake Erie islands and a 16-ton glacial erratic boulder. Stones from each of Ohio’s 88 counties border the Woodland Wildflower Garden, which includes the Large-Flowered Trillium, Allegheny spurge and Yellow trout-lily. 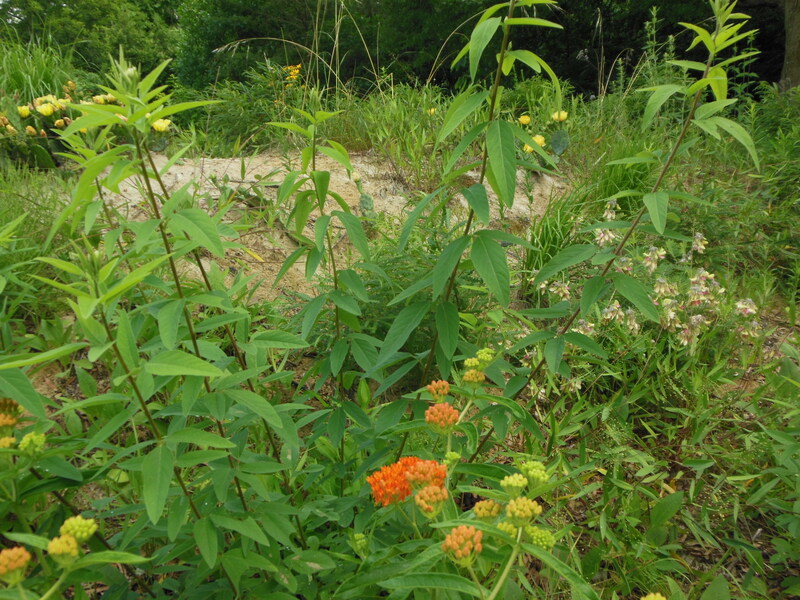 In the Meadow Garden, a small English-style perennial border garden is planted with native plants like Tall ironweed, Joe-Pye weed, False sunflower, Pokeweed, Mistflower, and Hedge bindweed. The First Family Patio is surrounded by trees, including a clone of a Tidal Basin Yoshino cherry tree, which was brought to Washington, DC by First Lady Nellie Taft and donated by the National Arboretum. 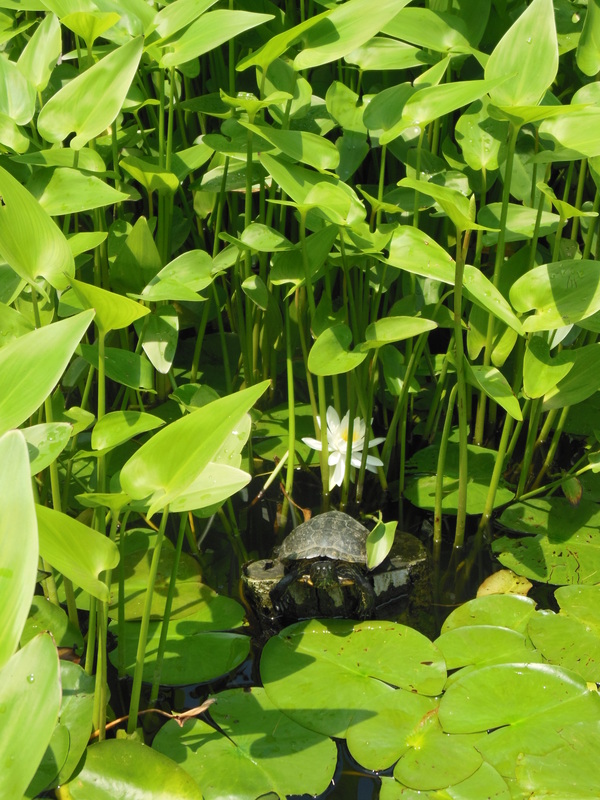 Six pools in the Water Garden are filled with native Ohio aquatic plants, such as the fragrant water lily and the white water lily. They’re also home to plenty of frogs, dragonflies and turtles, including “One-Eyed Jacqueline,” a turtle presented to Governor Strickland. A neighboring pergola incorporates several species of native bamboo and native vines, including the humingbird-attracting trumpet creeper and Kentucky wisteria. To represent the Central Lowland Till Plains of western Ohio, the Prairie Garden is loaded with native prairie plants, including Little bluestem grass, Shooting stars, Golden Alexanders, Ohio spiderwort, Purple coneflower, the New England aster, Bottle gentian, Prairie Dock, Rough blazing star, Royal catchfly, and Riddell’s goldenrod. Before, the only plant I could identify here was the compass plant, whose leaves orient themselves in a north-to-south direction. But today, I spotted something else. 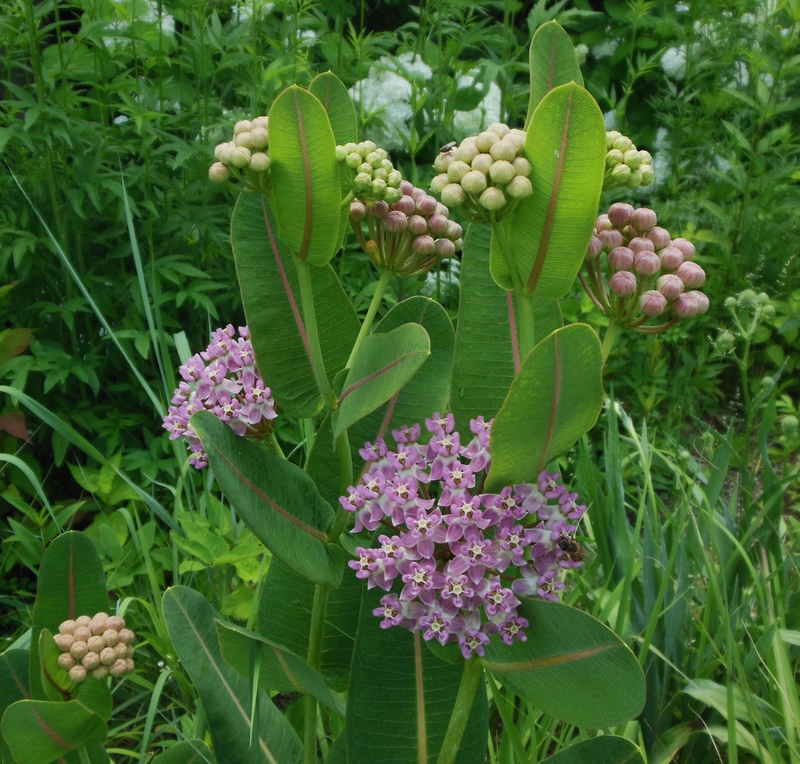 Could those showy pink flowers, stout stalks and thick leaves with a pinkish rib be Sullivant’s Milkweed, the rare prairie plant named for William Starling Sullivant, the Columbus botanist and bryologist on whom I’ve been fixated lately? Oh, my goodness…According to the label nestled below it, it was! And a bee had even alighted on it! Nearby are All-American Rose Selection winning roses bred by Ohioans, like John Pottschmitt’s “Dream Come True” and Carl Meyer’s “Portrait.” The Garden of the Lost includes sweetbay magnolia, Florida corkwood, Alabama snow-wreath, and other plants that were probably growing here than two million years ago. 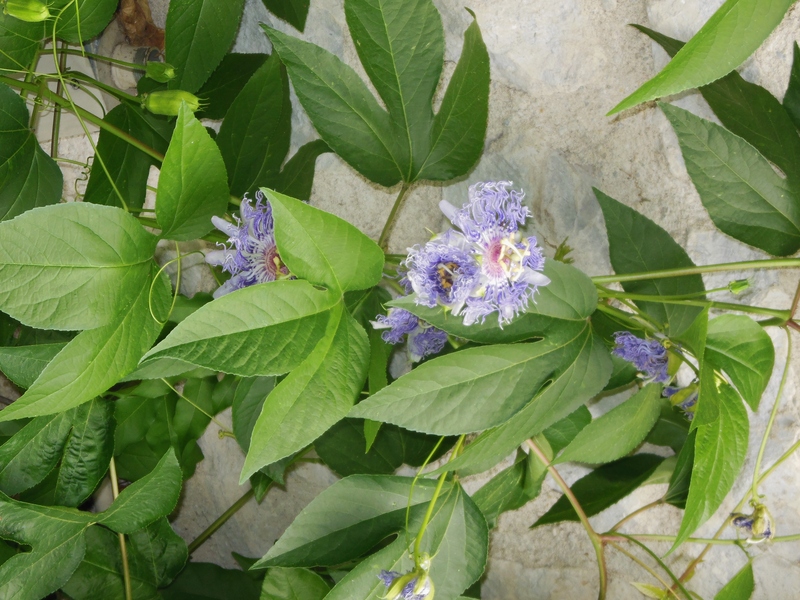 Southern species of plants like “Bracken’s Brown Beauty,” a southern magnolia, crossvine, Carolina roses, and “Ammon’s Blue,” an Ohio cultivar of our native passionflower found in Clermont County, Ohio thrive on the Wall Garden. The Kettle Lake Bog includes flowering bittersweet cranberries, pitcher plants, and bog species like highbush blueberry and bog rosemary. Pointing out the resemblance between the cranberry flower and a crane’s head, a docent told my fellow tourists that the cranberry’s name derives from “Crane Berry,” since cranes were common residents in cranberry bogs. Talk about a fun fact to share! Great rhododendron, Mountain laurel, and Sourwood grow amid soils, limestone and shale imported from southeastern Ohio in the Appalachian Garden. Hearts-bursting-open-with-love, Wood hyacinth and Little brown jug — all rare plants collected from the Edge of Appalachia area in Adams County by Lucy Braun (1889-1971), a University of Cincinnati botany and ecology professor — flourish under native buckeye trees and three indigenous magnolia species. The Sand Dune Gardens and Alvar Rock Garden recreate the unique flora along the shores of Lake Erie and in the Oak Openings, west of Toledo, where Blue sundial lupine and Prickly pear cactus grow. Under an apple tree taken from a cutting of one of the last living trees planted by Johnny Appleseed, a nifty new garden is under way. That was part of the “assignment” I’ll report on soon. Our First Family’s Home: The Ohio Governor’s Residence and Heritage Garden, edited by Mary Alice Mairose and published by Ohio University Press in 2008, includes insightful chapters on the architecture and history of the Residence, the Ohio Heritage Garden, and botanical art depicting some of Ohio’s native plants by Cincinnati artist Dia nne McElwain. Former Residence Chef June McCarthy’s The Governor’s Residence Cookbook, published by Orange Frazer Press in 2006, contains favorite recipes of Ohio’s recent First Families. The Ohio Governor’s Residence and Heritage Garden is located at 358 North Parkview Avenue in Bexley. 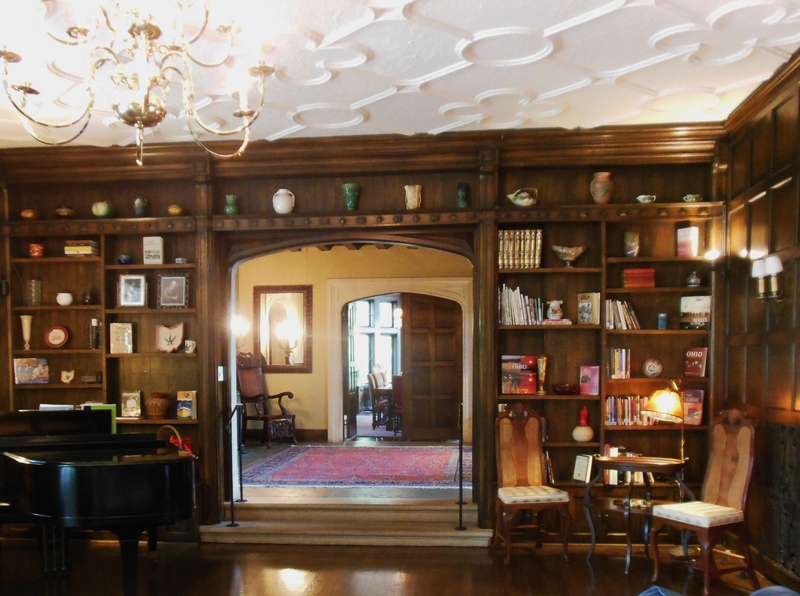 One-hour tours of the Residence are available most Tuesdays at 10:30, 12:00 and 1:30, but they must be scheduled at least one week in advance. Visit http://www.governorsresidence.ohio.gov/ for more information. 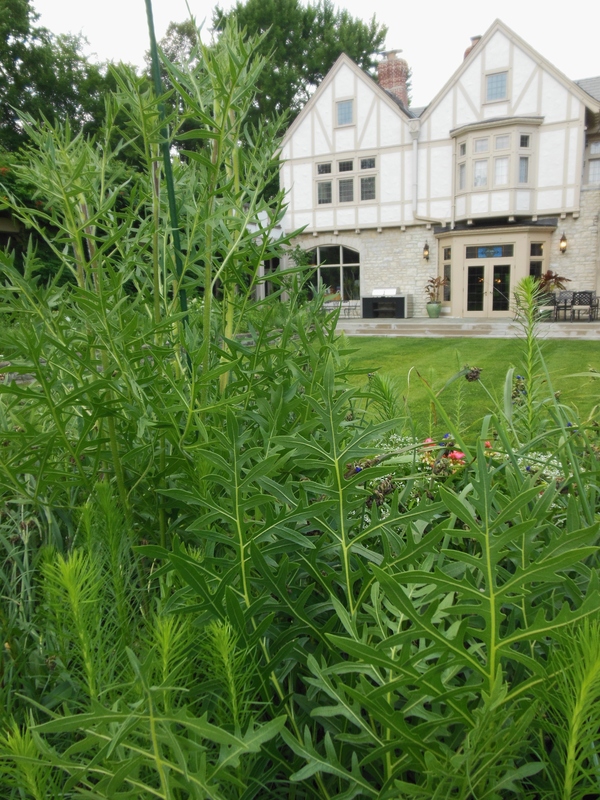 This entry was posted in Architecture, Columbus, Flowers, Gardens, History, Nature/Outdoors, Ohio. Bookmark the permalink.